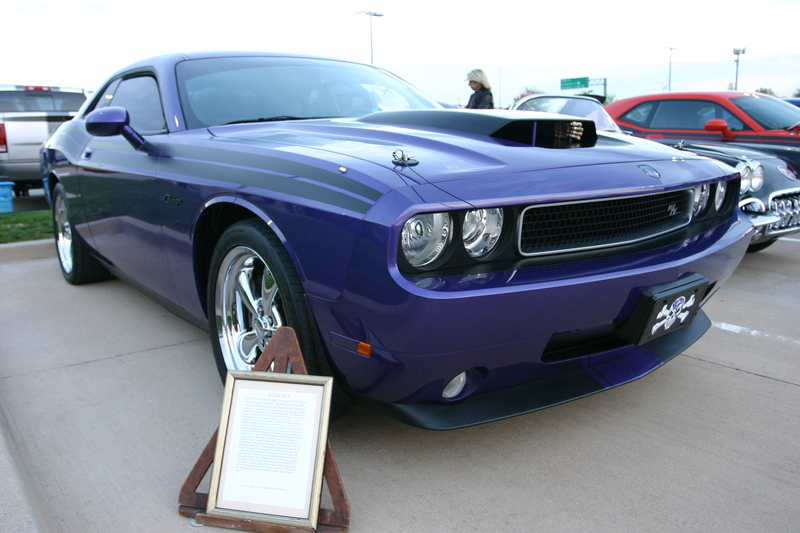 This plum Dodge Challenger caught the author’s eye with the skeleton hand in the hood scoop. 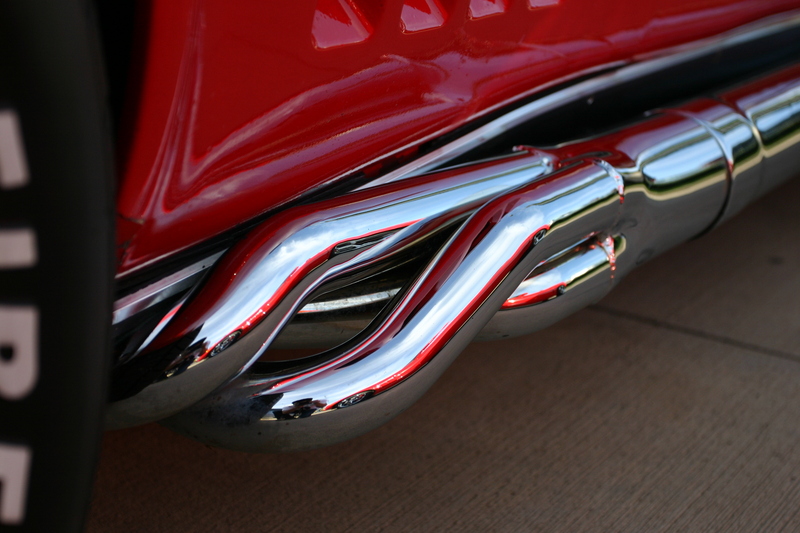 These headers on this C2 Corvette were absolutely gorgeous, and the workmanship is superb. 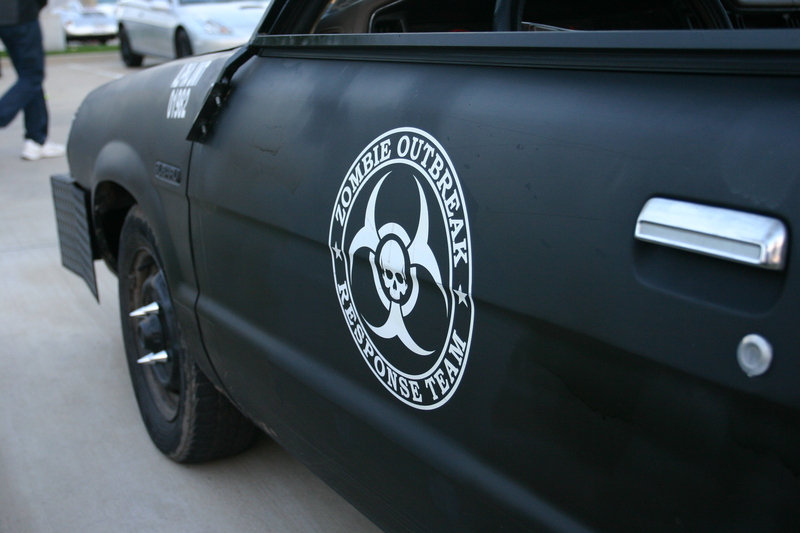 These are a pair of Subarus were equipped with the rare factory Zombie Apocalypse Package (ZAP). The package includes decals that separate it from the lesser Subarus. Subaru included a tow package with the ZAP. The dual purpose machete hood prop was a nice touch. 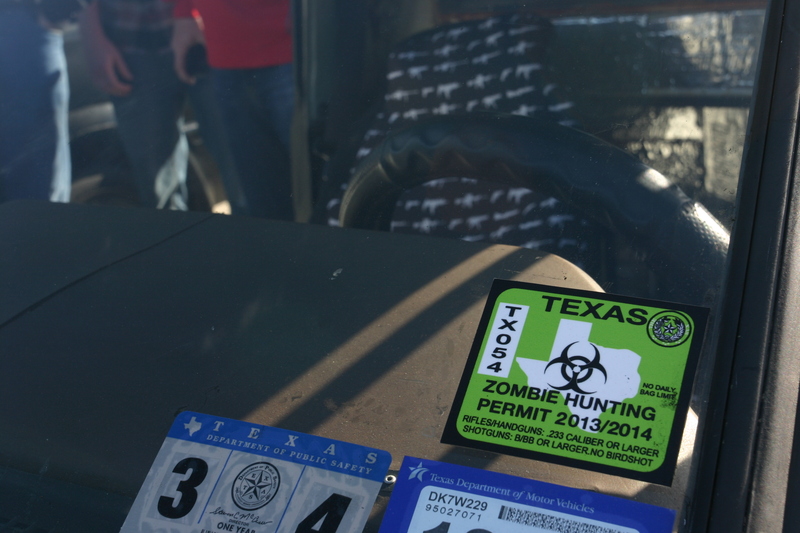 The owner even went through the effort to obtain the proper permits for hunting zombies in Texas. This Camaro looked great against the backdrop of a Texas sunrise. 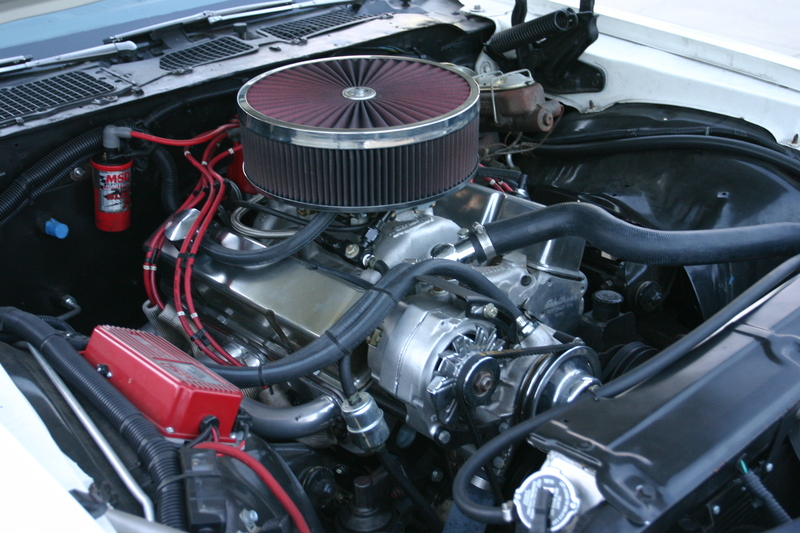 The engine bay of the Camaro was clean and business-like. 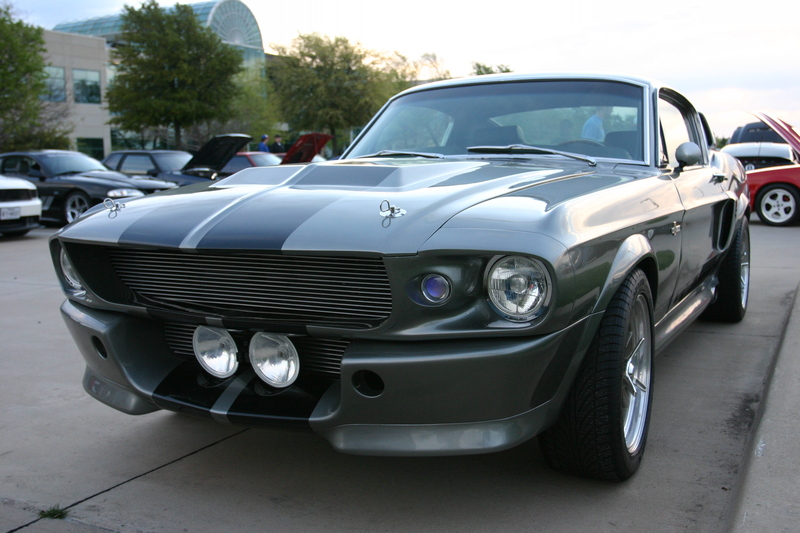 Note in the background the other American muscle present. 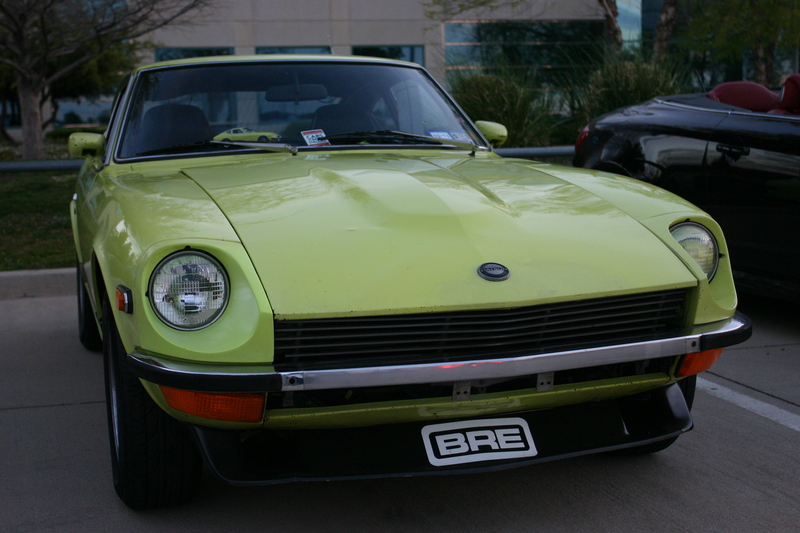 This Z has classic, clean proportions. 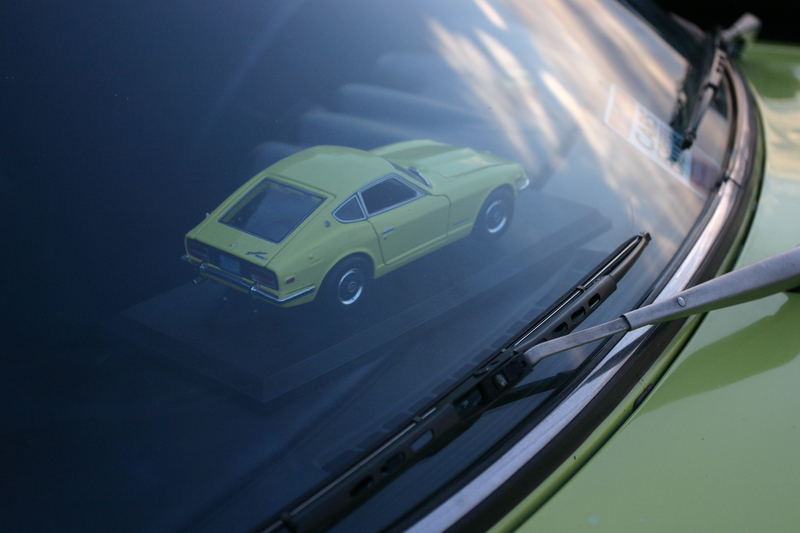 The author particularly enjoyed the scale model displayed on the dash. Even the color of the car matched. 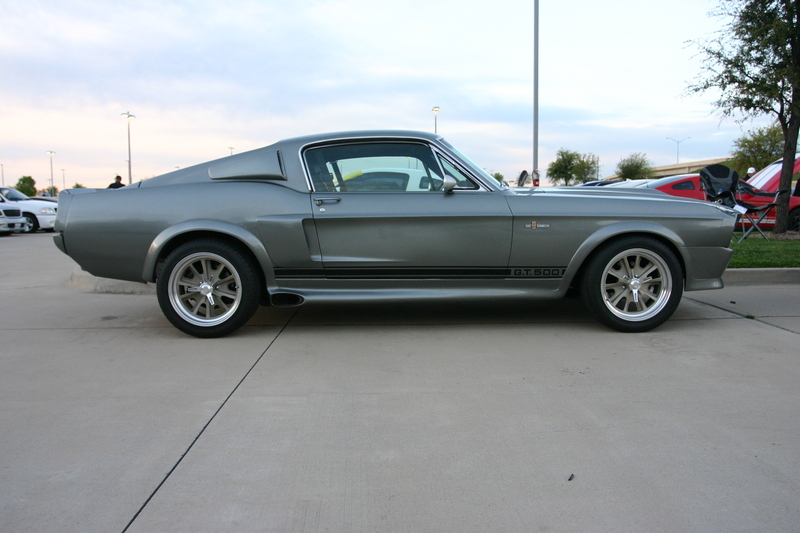 This Mustang still looks gorgeous decades later. 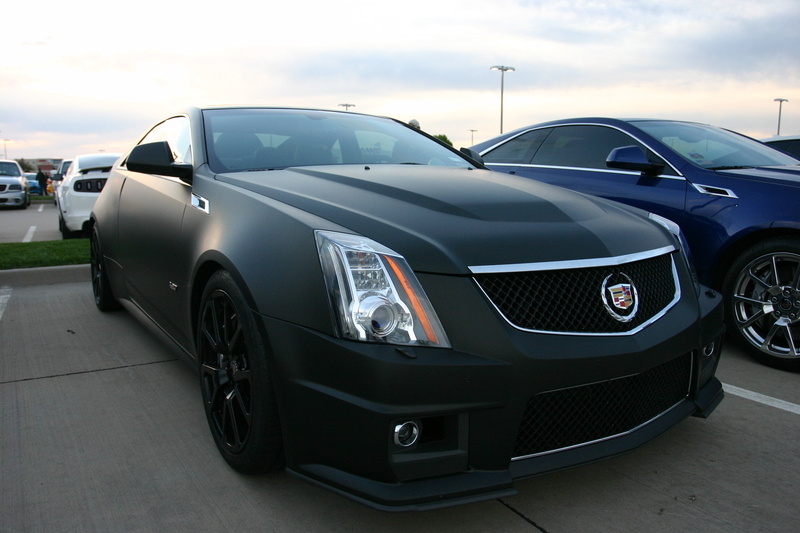 The black satin finish looks menacing, and works well with this Caddy. The angular knife-edge styling combined with the finish draws comparisons to the F117 stealth fighter. Some local speed shops show up regularly. 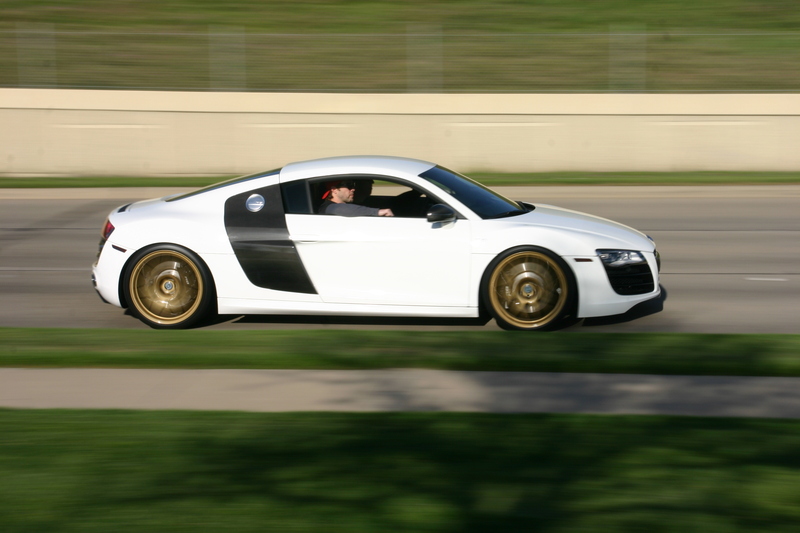 Pictured is BJ Meyer from Clown Shoe Motorsport in his BMW M coupe. 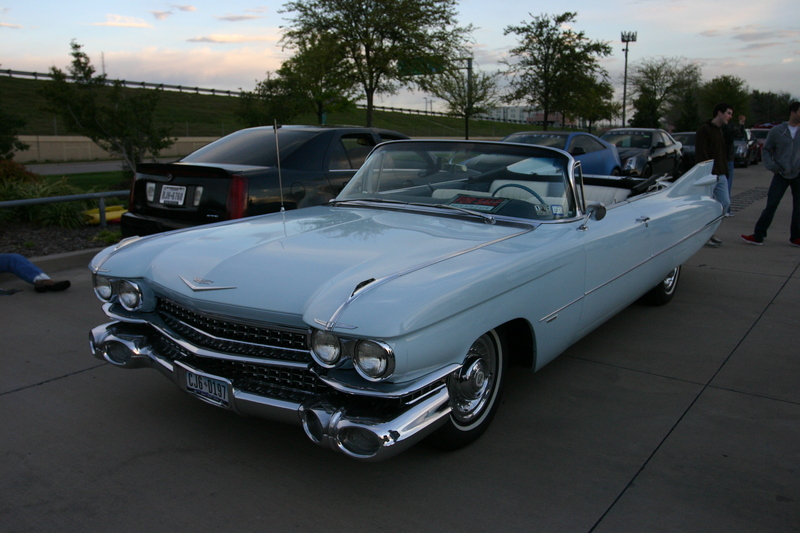 Cars have steadily gotten larger and larger for the past several decades, but seeing this old Cadillac puts things in perspective. Cars in the 50′s used to be absolutely enormous. 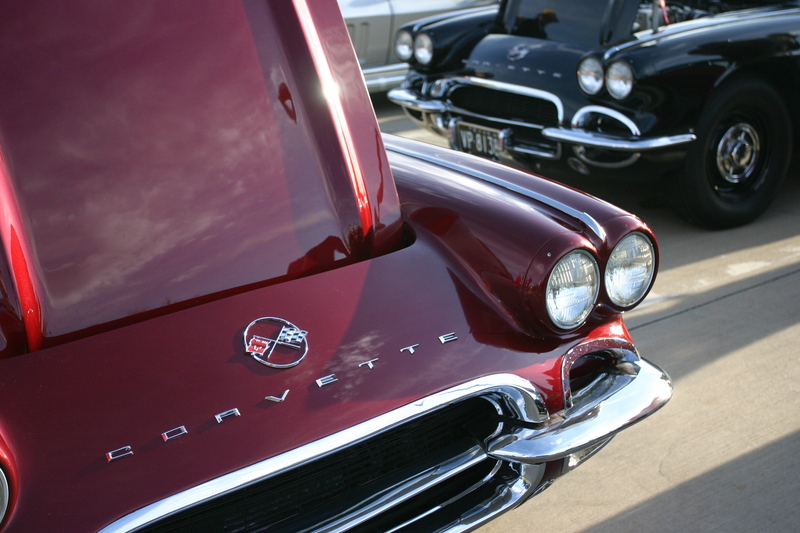 The Cadillac dwarfs the modern day Cadillacs in the background. 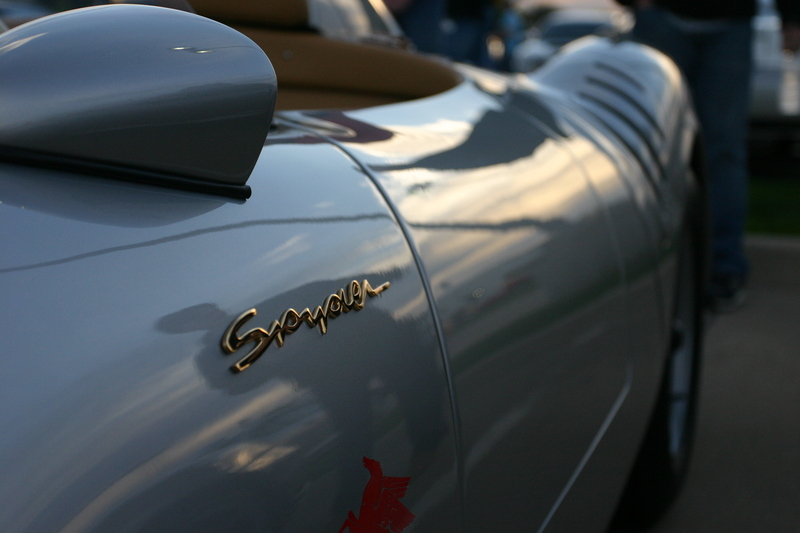 This Porsche 550 Spyder has classic charm to it. 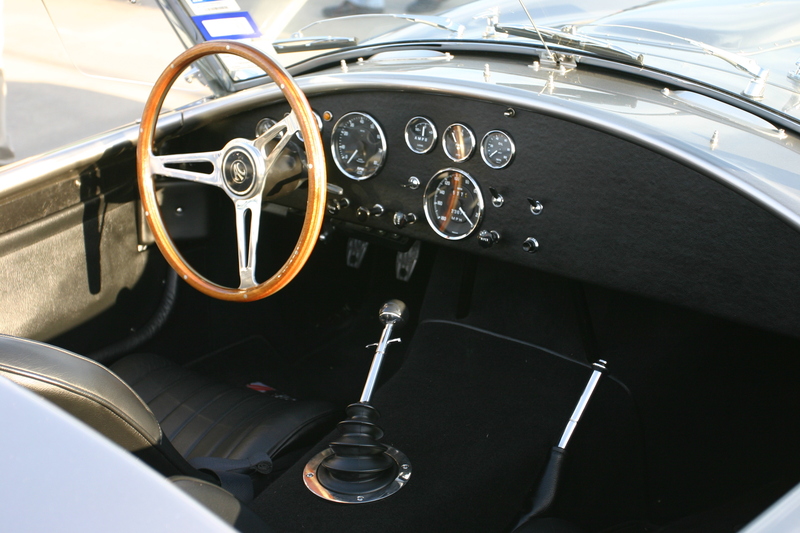 The leather, rubber, and metal give this car a mechanical feel to it that most modern cars simply do not possess. The lines still look great half a century later. 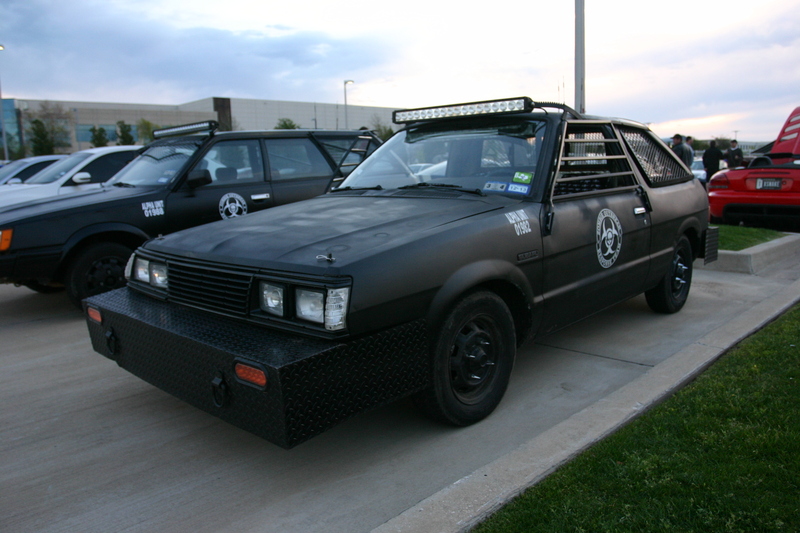 This car is all about driving. Note the lack of ancillary features throughout the cockpit. A race spec C2 Corvette makes its way through the aisles, it’s lopey engine idle telling all within earshot that it is running agressive cams. With the hood removed, the engine inside is revealed. 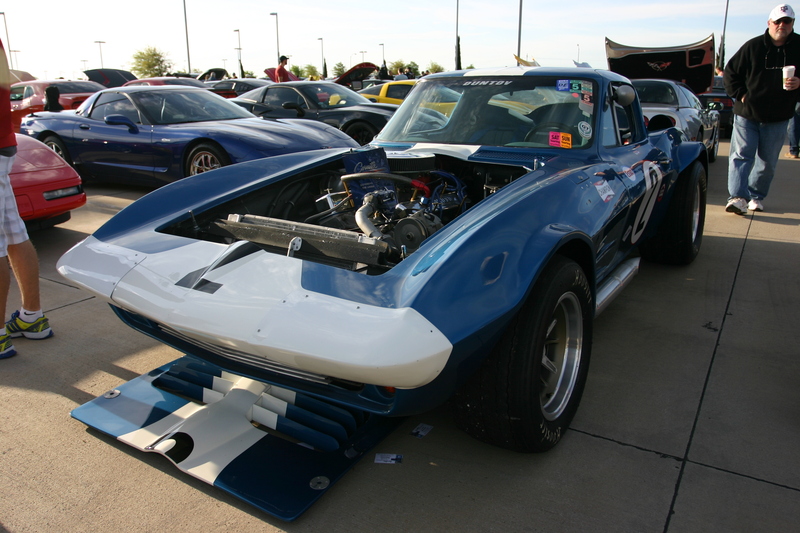 In true racing form, the hood is held on with hood pins instead of the standard hinges and latch. 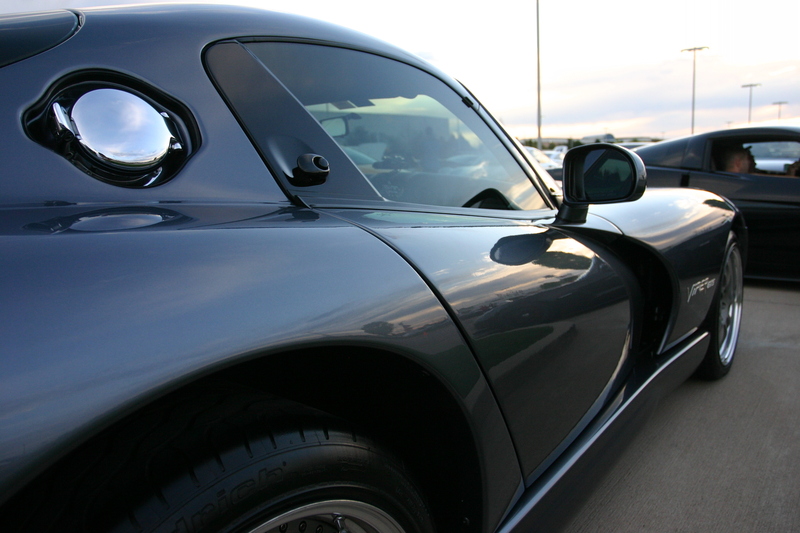 The lines of the Viper (not to mention it’s performance) will make it a classic for decades to come. 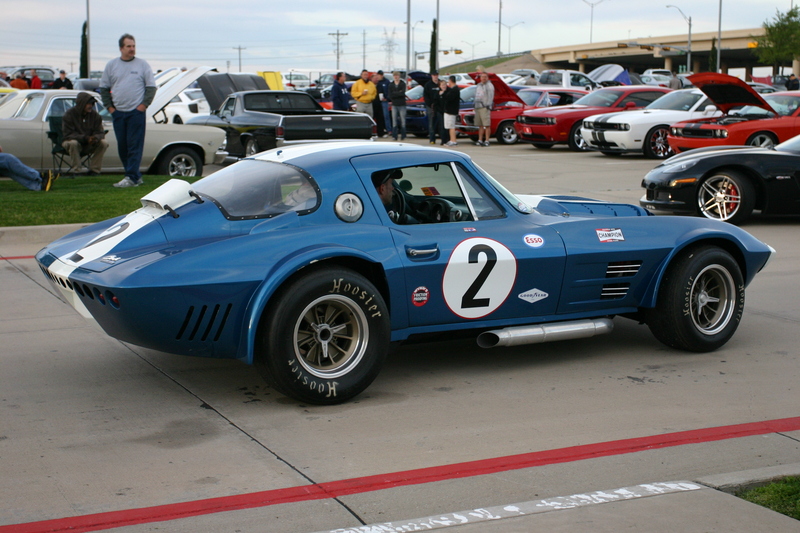 Vipers look large in photographs, but are actually smaller looking in person. 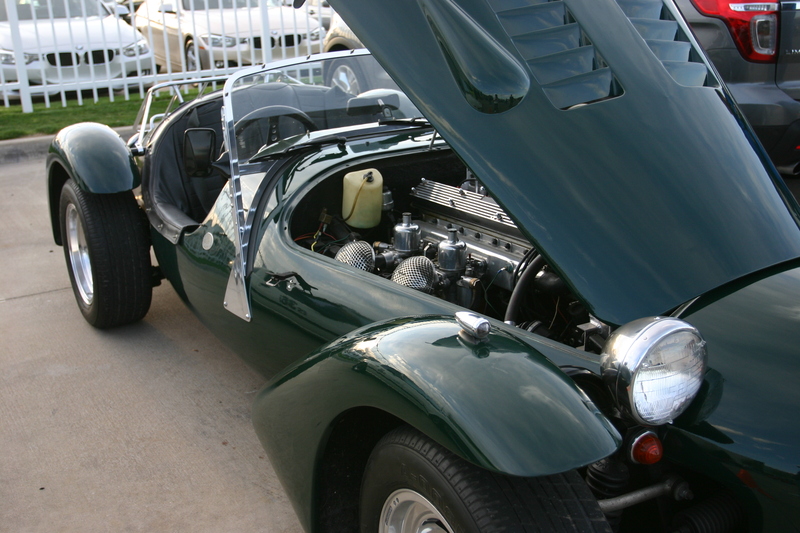 This Jaguar powered Kougar drew much attention. 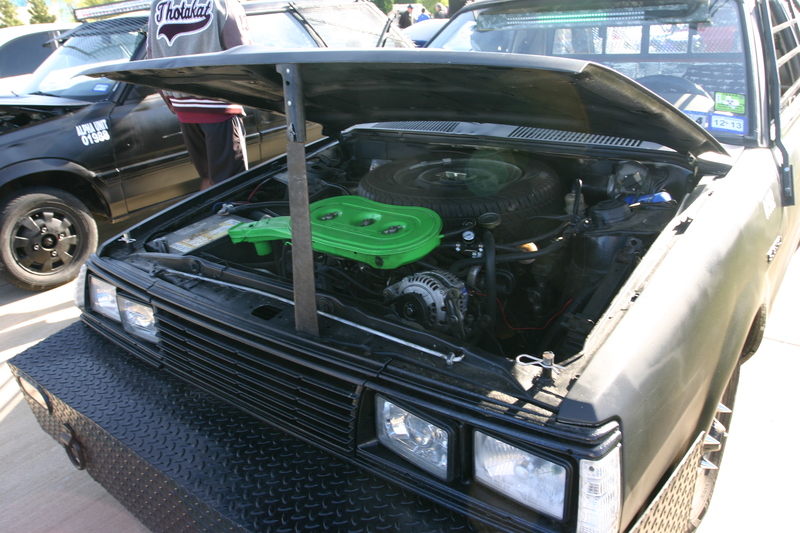 An inline 6 engine fills the engine bay. 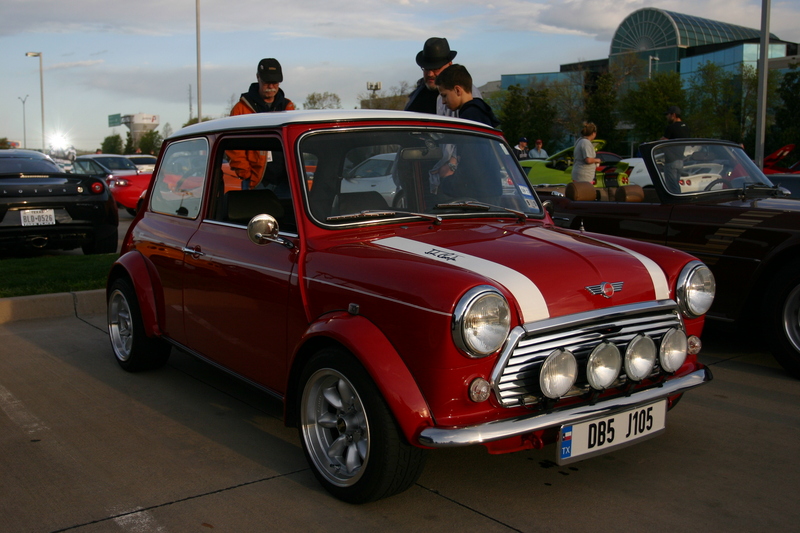 The author overheard the owner commenting on how fun his Mini Cooper is to drive, even if it is slow by today’s standards. 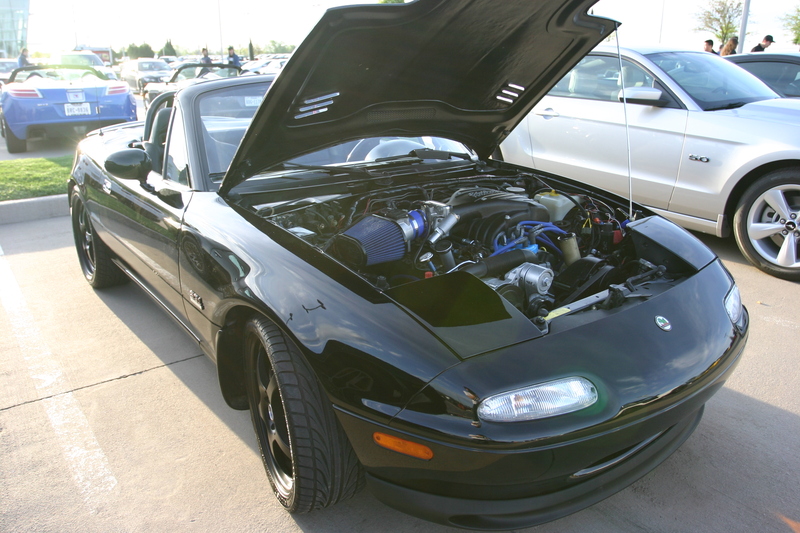 Upon closer inspection, this Miata has something special in the engine bay. 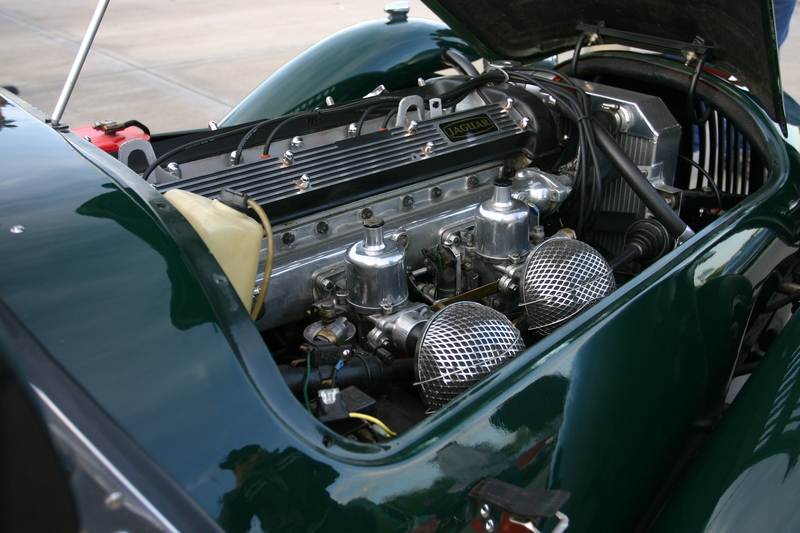 The engine bay houses a Ford V-8. The NSX still looks great and has aged very gracefully. 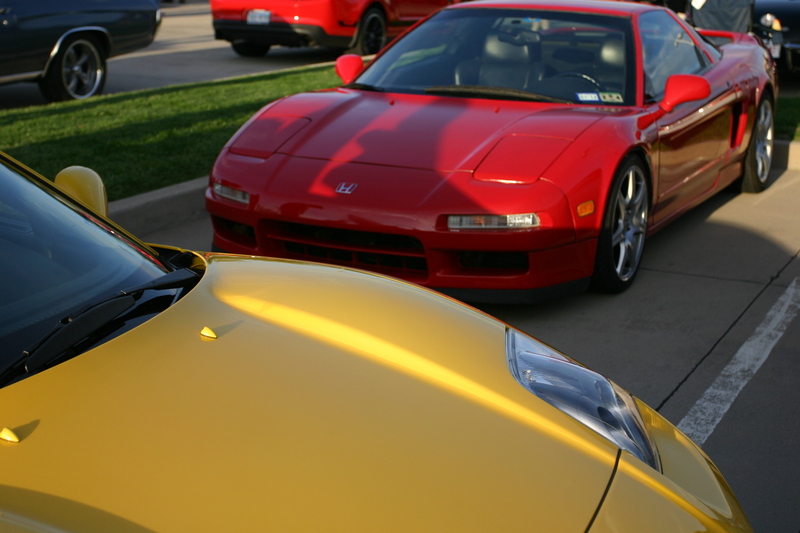 Note the differences in the headlight between the earlier and later model NSX’s. One can only hope that Honda’s successor to the NSX will live up to the original. The Lamborghini Gallardo Superleggera is a performance model of the Gallardo, boasting extra weight savings measures over a standard Gallardo. This is one of 10 that left the factory in white. The 5.0 L V10 cranks out 523 hp. 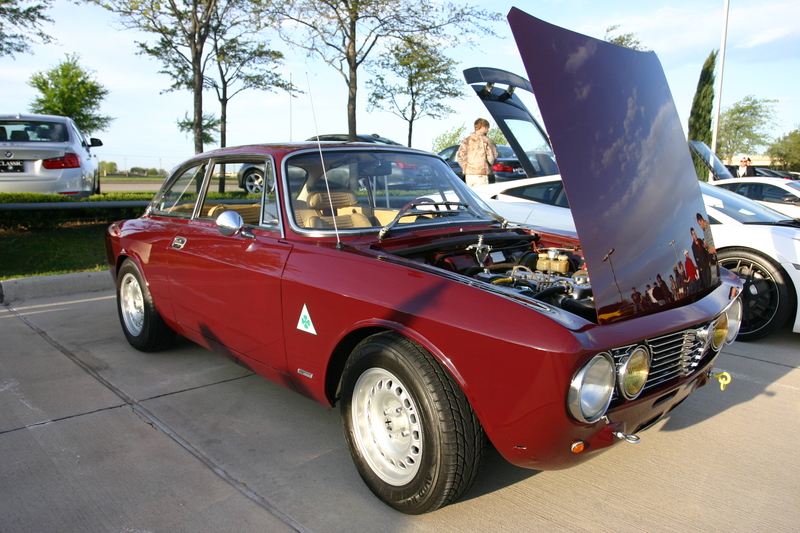 This Alfa Romeo contrasts with the modern Italian machinery next to it. 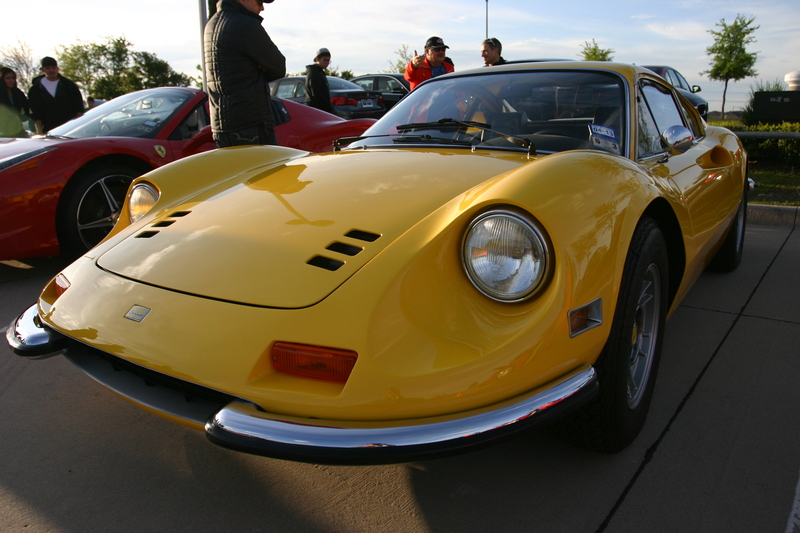 Ferrari Dino next to a Ferrari 458 Italia. Though regrettably uncommon, it is nice to see when women are involved in the automotive community. 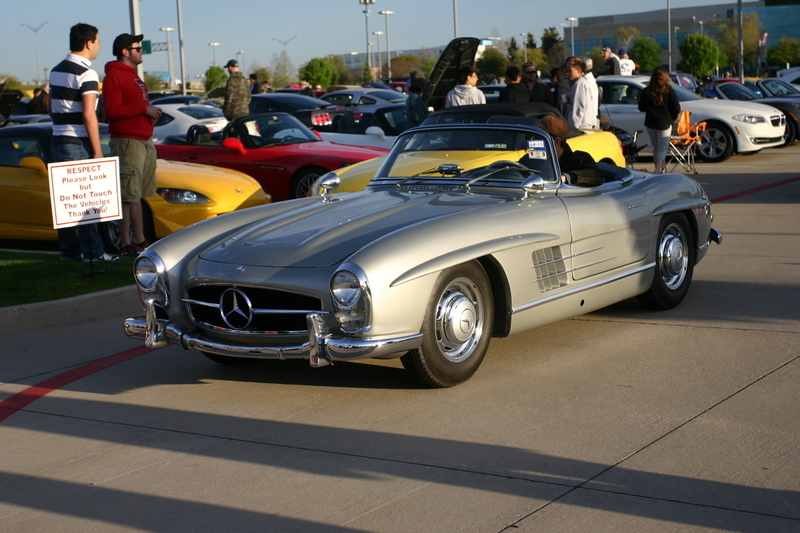 The lines of the Mercedes 300SL carry over to the modern day Mercedes SLS. 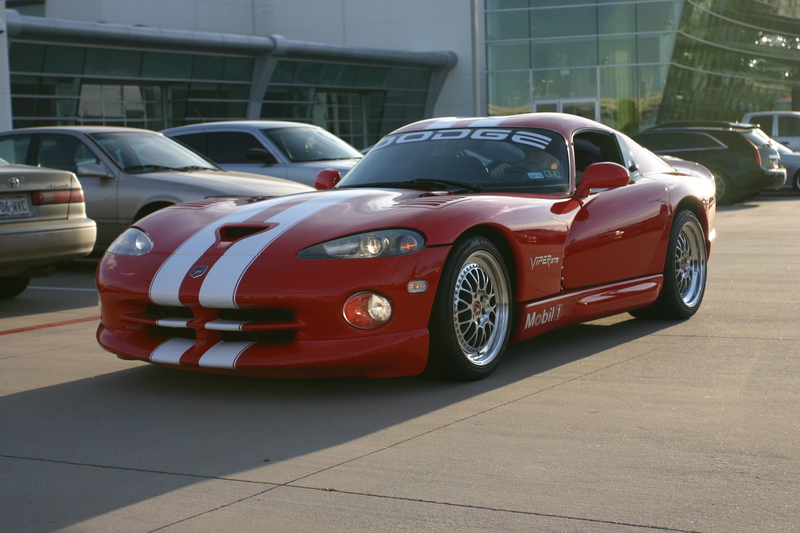 This Dodge Viper looks like it belongs on the track. This Ford GT drew quite a crowd. 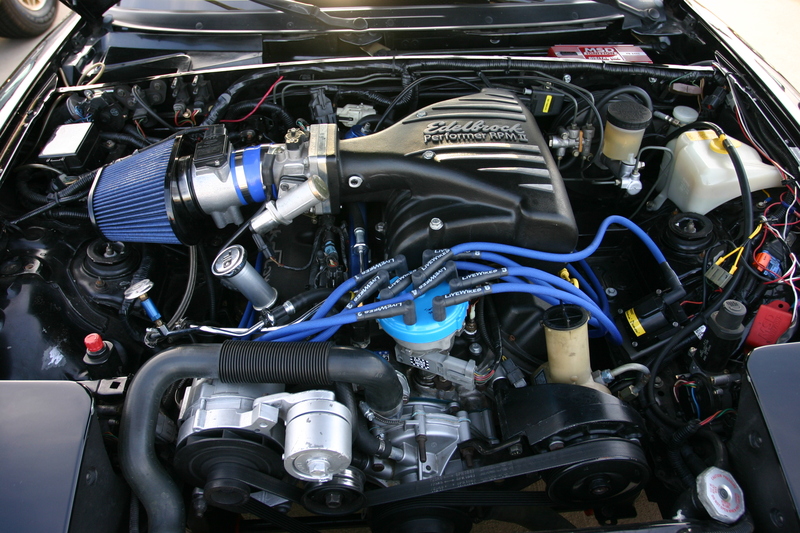 A closer look at the engine bay shows that the engine is fed by twin turbos. 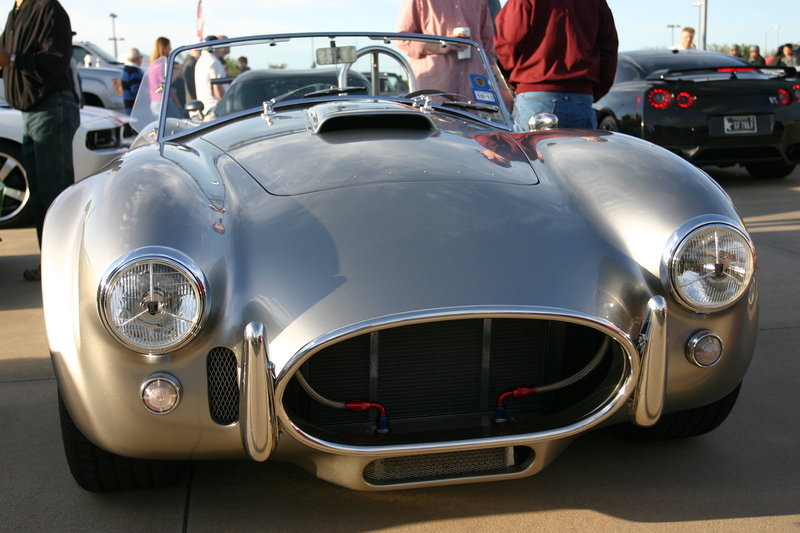 The silver paint shows the lines and contours of the Shelby Cobra nicely in the morning sun. 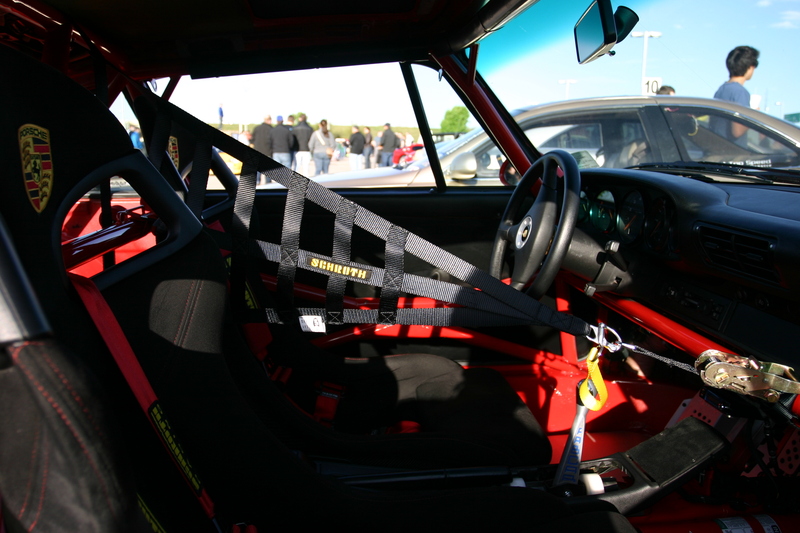 The interior is spartan and purposeful. There was a small group of C1 Corvette owners that showed up. 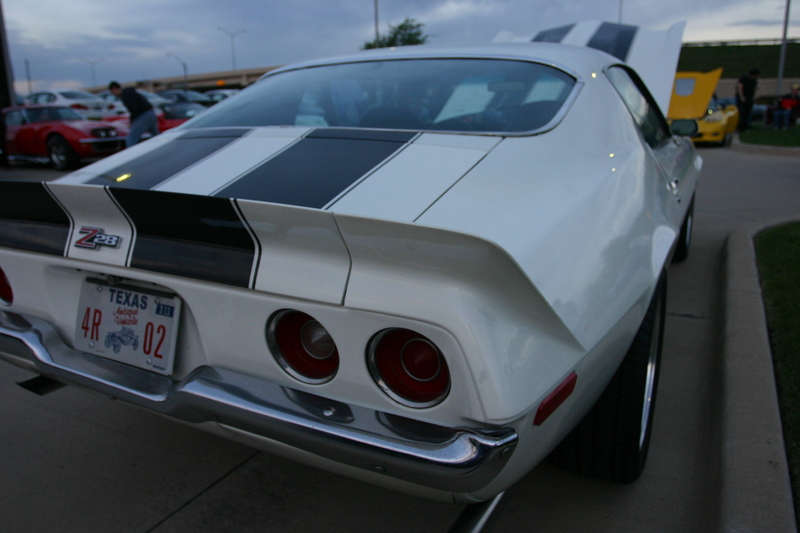 Corvettes of all vintages made a strong showing at the event. 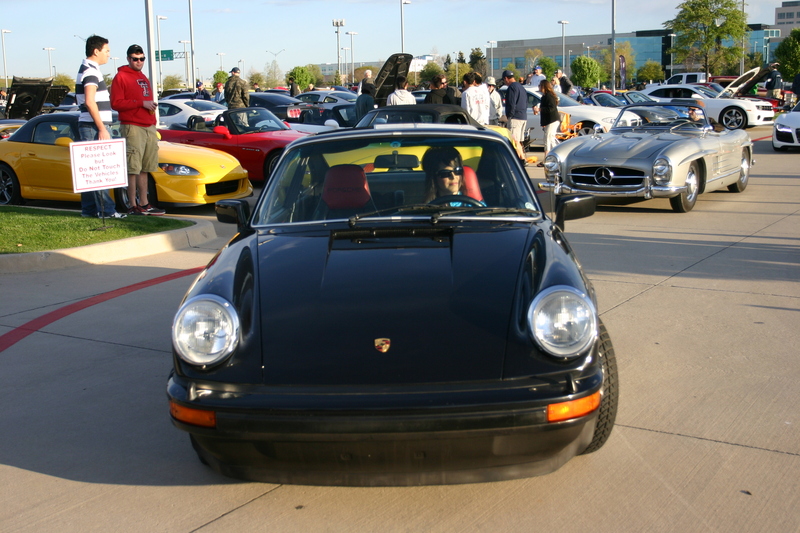 This Porsche 911 was one of the author’s favorite cars of the whole day. 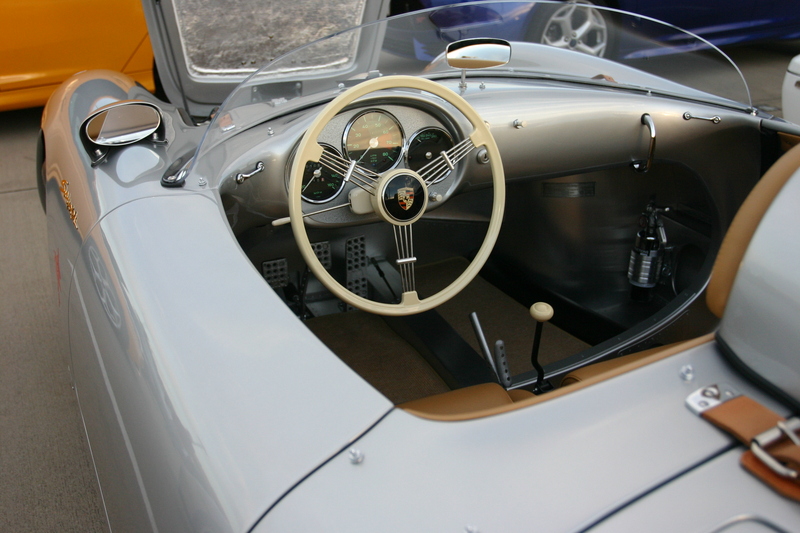 The interior shows that this Porsche means business. 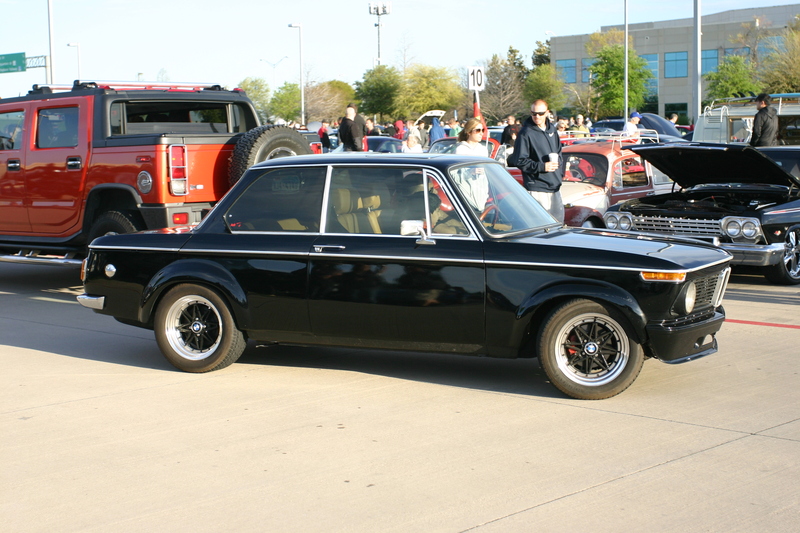 This BMW 2002 was very clean and very tastefully modified. 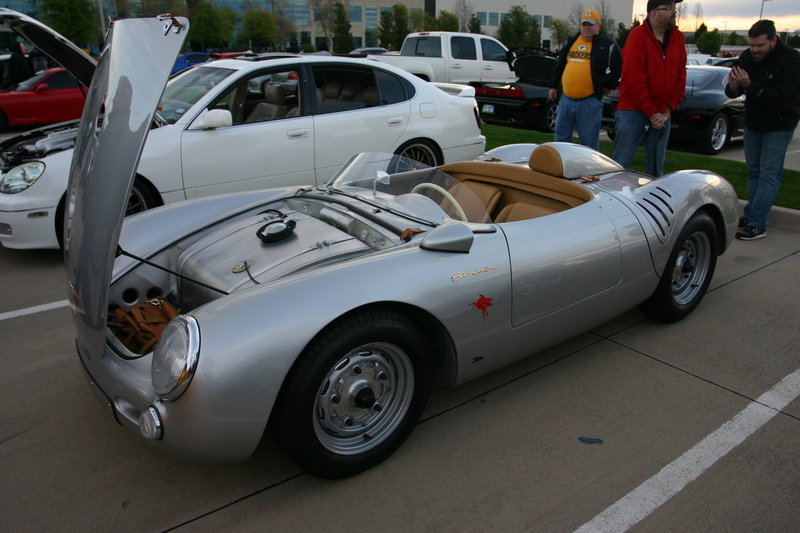 There were a handful of 1970′s and 1980′s BMW that attended. 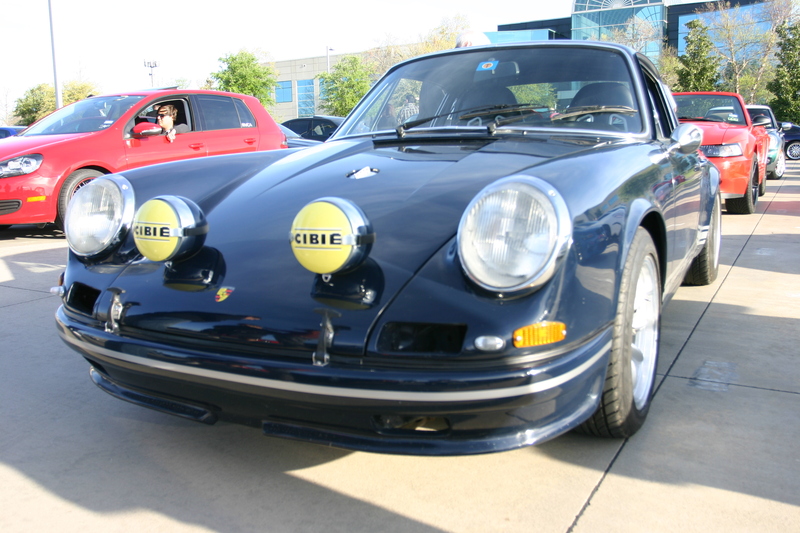 This 911 with its extra set of lights looks like it is ready to go rallying. This hot rod with wheelie bar on the back looked like it was set up for the drag strip. 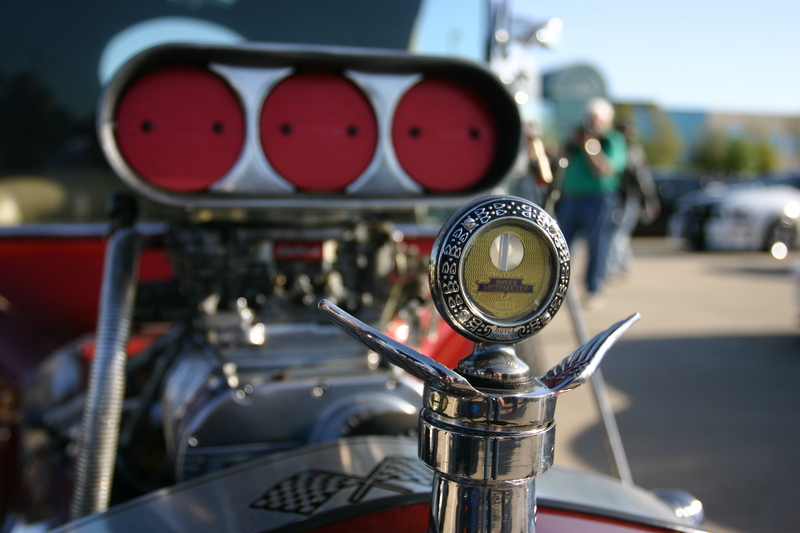 One nice thing about these hot rods is that there is plenty of access to the engine and other components. Hood ornaments today lack the panache of yesterday’s. 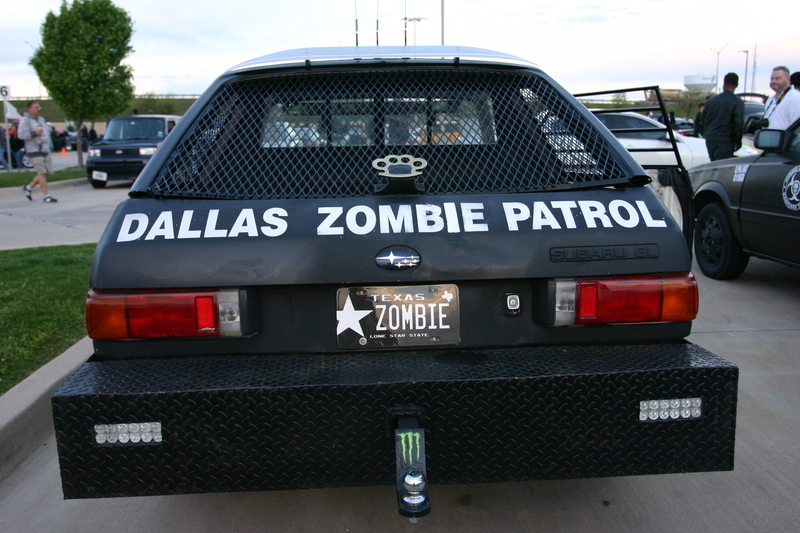 One of the exits from the parking lot leads to an on ramp of the Dallas North Tollway. People regularly gather at this exit to see the cars leave one at a time. In the past, there have been burnouts and full throttle sprints up the on ramp, but police are now stationed at the exit to encourage everyone to keep it civil. 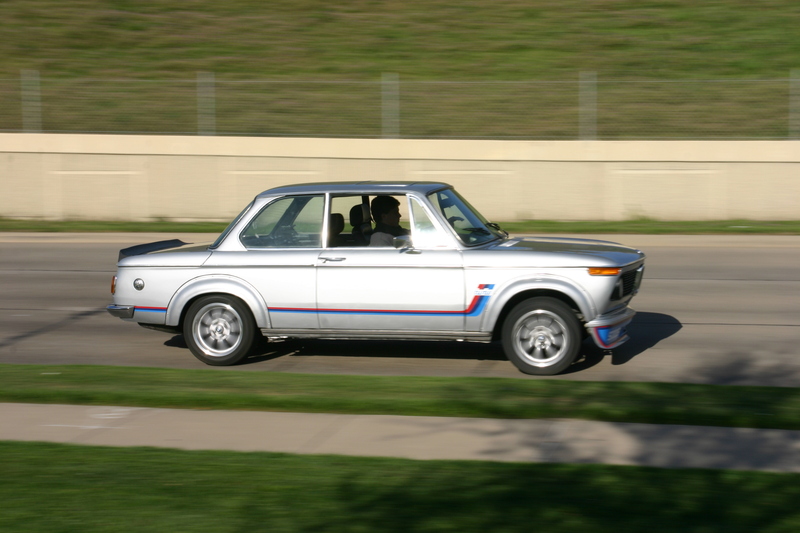 This BMW 2002tii was blisteringly fast in its time and though slow by today’s standards, is still rewarding to drive. 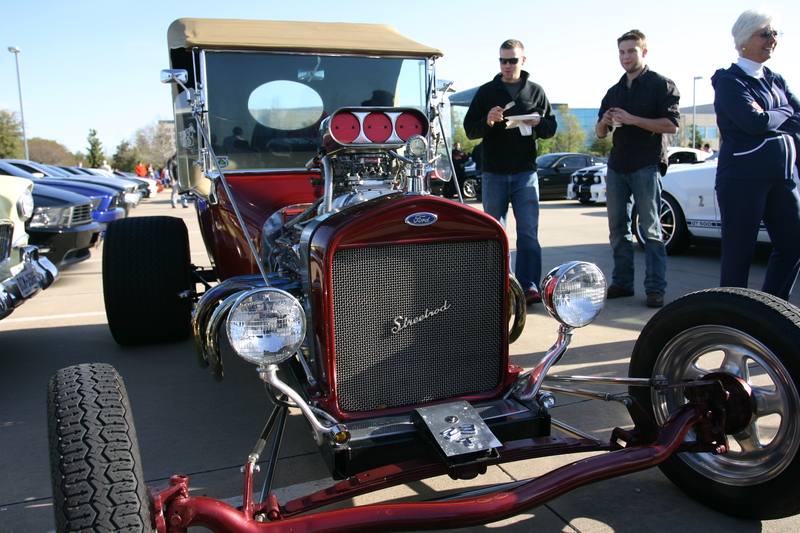 Cars and Coffee is always a great opportunity for car enthusiasts to come together and talk shop while showing off their machinery. The parking lot was completely filled, and there were about 300 cars that showed up. There is a little of something for everyone. 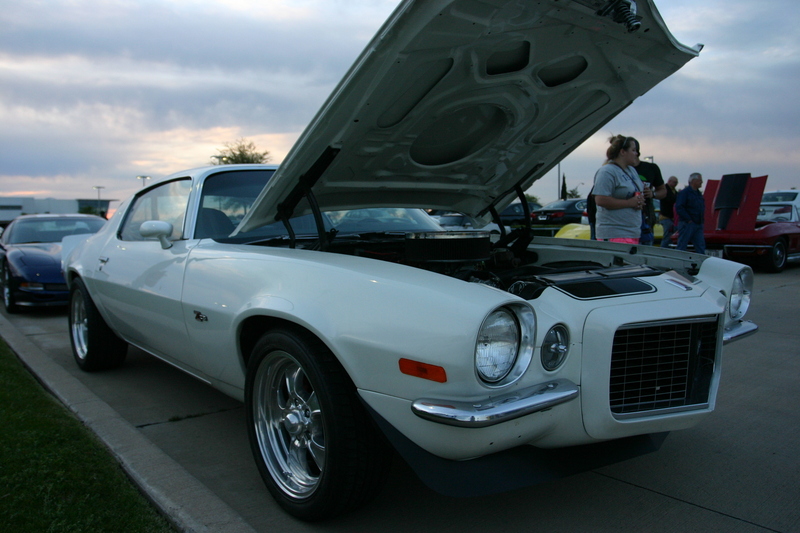 From American muscle, to Japanese cars, to exotic machinery, nearly every genre was represented. Stay tuned for future Cars and Coffee coverage.